If you’re looking for a fantastic two-bedroom home in the historical Mission Hill neighborhood, start your search off on the right foot with the neighborhood’s favorite real estate portal Mission Hill Pads. 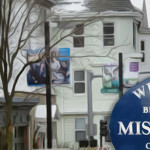 With stunningly gorgeous Colonial Revival and Late Victorian architecture, tree-lined streets, panoramic views of the downtown skyline, and loads of bars and eateries, it’s easy to see why Mission Hill is so desirable these days. Mission Hill Pads can help you browse the best offering of two-bedroom properties in the area in the comfort of your home! It’s easy to search apartments by price range, browse through photos, and email agents directly. You can also create a bookmark list of your favorite properties and spend time comparing and contrasting your favorites. There is no better way to search for a home in the coveted Mission Hill neighborhood than by using Mission Hill Pads. From exposed brick beauties on Huntington Avenue to spacious light-flooded apartments on the top of the hill; there’s something to suit every taste and budget when you use Mission Hill’s best online real estate resource. 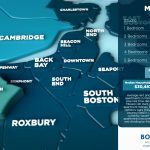 It doesn’t matter if you and a roommate are looking for the perfect place to share or a little extra space, finding the ideal two-bedroom is easy when you work with a Mission Hill real estate specialist found on this website. Securing the best two-bedroom property for your lifestyle needs doesn’t have to be stressful or difficult. When you work with Mission Hill Pads, finding your dream home is as easy as buying a pair of shoes. You don’t have to waste your time searching through online ads only to find out that your favorite apartment has already been rented or that it’s actually more than the cost listed. Instead, use the most trusted source for Mission Hill real estate and find the perfect two-bedroom property faster than you ever thought possible. Mission Hill is very close to: stunning parks, Fenway to easily catch a game, and a convenient commute for downtown workers. Plus, Huntington Avenue and Tremont Street are loaded with enough bars, restaurants, cafes, and music venues to keep you busy on the weekends without even setting foot on the T. Find your new home today by using Mission Hill’s largest real estate database and portal, and get ready to love where you live!